Hi WooCommerce store owners, the 2.7.1 Plugin update is a minor Plugin release improving the detection of empty second lines in the import file as well as validation of different date formats within Product date type fields (e.g. Product Published, Product Modified, Sale Price Dates From/Sale Price Dates To, etc.). Download the latest Plugin update from My Account, or via Dashboard > Updates within the WordPress Administration and for more information visit the Plugin detail page for Product Importer Deluxe. 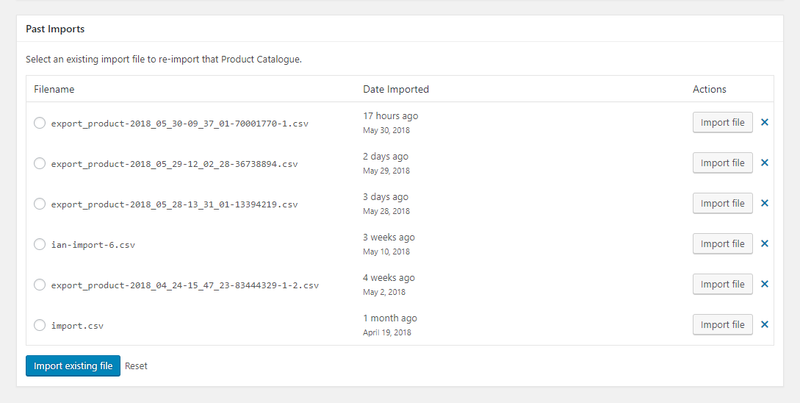 Hi WooCommerce store owners, the 2.6 Plugin update is a minor Plugin release adds drag-and-drop file upload support and cleans up the Past Imports section to the Import screen. 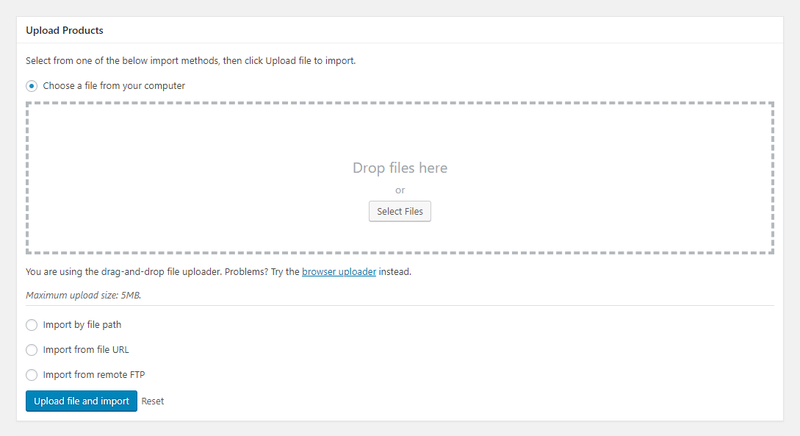 Replacing the default file upload field on the Import screen to support drag-and-drop file uploading has been a goal of mine for a very long time. Today I wrestled this task and implemented it. The Past Imports section on the Import screen has been cleaned up with import buttons on each row. 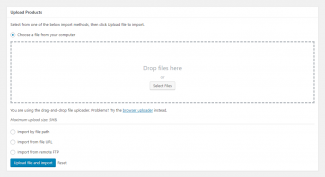 You can now drag-and-drop files directly from your computer. There’s still support for the default file uploader. The Past Imports section has been cleaned up. Hi WooCommerce store owners, the 2.4 Plugin update is a minor Plugin release resolving reported import issues from this past month. Support was added for multiple CRON import tasks to be processed. 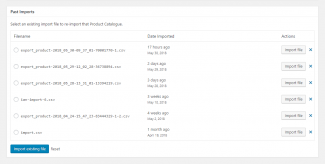 Hi WooCommerce store owners, the 2.4 Plugin update is a minor Plugin release adding import support for WP-Lister Pro for eBay and the Grouped Product import column as well as resolving the Read More text showing on some imported Variable Products. Hi WooCommerce store owners, the 2.3.9 Plugin update is a minor Plugin release restoring import compatibility the Visibility Product detail and native import support for Google Customer Reviews and Amazon WP-Lister Pro. Hi WooCommerce store owners, the 2.3.3 Plugin update is a minor Plugin release resolving a Variations import validation issue and adding import support for advanced Attribute details including Position, Visible on the product page and Used for variations. Hi WooCommerce store owners, the 2.3 Plugin update is a minor Plugin release adding support for additional import logging and diagnostics and fixes import support of the Visibility Product detail. Native import support for WooCommerce Advanced Product Quantities has been added in this release. Hi WooCommerce store owners, the 2.0.1 Plugin update is a minor Plugin release fixing an issue affecting automatic Plugin updates over the past 24 hours so I will re-release the 2.0 major release from yesterday with some minor additions from today.